Ruby Schmidt has the talent, the drive, even the guts to enroll in art school, leaving behind her childhood home and the beau she always expected to marry. Her life at the Academy seems heavenly at first, but she soon learns that societal norms in the East are as restrictive as those back home in West Texas. Rebelling against the insipid imagery woman are expected to produce, Ruby embraces bohemian life. Her burgeoning sexuality drives her into a life-long love affair with another woman and into the arms of an Italian baron. With the Panic of 1893, the nation spirals into a depression, and Ruby’s career takes a similar downward trajectory. After thinking she could have it all, Ruby, now pregnant and broke, returns to Texas rather than join the queues at the neighborhood soup kitchen. She discovers her life back home is as challenging as that in Philadelphia. A Different Kind of Fire depicts one woman’s battle to balance husband, family, career, and ambition. Torn between her childhood sweetheart, her forbidden passion for another woman, the nobleman she had to marry, and becoming a renowned painter, Ruby’s choices mold her in ways she could never have foreseen. “Told in a rich, sensual, style, A Different Kind of Fire is a book about reconciling the irreconcilable. It is a book about boundaries: the dilemmas they place upon those would dare rise above them. The book is also a study in contrasts rather than a polemical treatise. Is Ruby a heroine or a victim?–a free spirit or a narcissist? These questions are ultimately left to the reader to decide.” –James Hanna, Author of The Siege, Call Me Pomeroy, and A Second, Less Head and Other Rogue Stories. Suanne Schafer, born in West Texas at the height of the Cold War, finds it ironic that grade school drills for tornadoes and nuclear war were the same: hide beneath your desk and kiss your rear-end goodbye. Now a retired family-practice physician whose only child has fledged the nest, her pioneer ancestors and world travels fuel her imagination. She originally planned to write romances, but either as a consequence of a series of failed relationships or a genetic distrust of happily ever-after, her heroines are strong women who battle tough environments and intersect with men who might—or might not—love them. Suanne completed the Stanford University Creative Writing Certificate program. 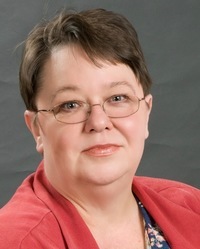 Her short works have been featured in print and on-line magazines and anthologies. 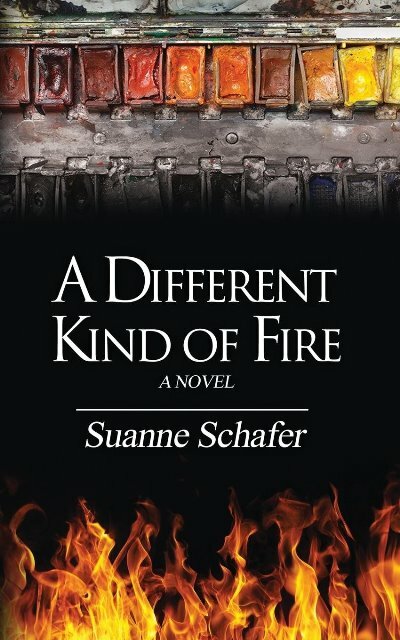 Her debut women’s fiction novel, A Different Kind of Fire, explores the life of Ruby Schmidt, a nineteenth century artist who escapes—and returns—to West Texas. Suanne’s next book explores the heartbreak and healing of an American physician caught up in the 1994 Rwandan genocide. During the Blog Tour we will be giving away A Fiery Bookish Prize Pack, including a literary scarf, beaded velvet bookmark, a copy of A DIFFERENT KIND OF FIRE & $10 Amazon Gift Card! To enter, please enter via the Gleam form below. – Giveaway is open to readers in the US only. Thanks for stopping by! Good luck Becky!